Located in the vibrant Citadel Outlets Center, the new Citadel Parking Structure supports potential expansion of the mall. The garage was designed and constructed to meet the demands of holiday events, including the center’s Annual Shopping Extravaganza. 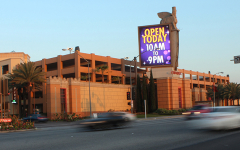 Situated adjacent to the existing historic Assyrian-inspired façade alongside the I-5 freeway in Los Angeles, the new structure is designed to complement the mall’s colors, special design elements and historic symbols. Inviting shoppers into the outlet center and providing a pleasant shopping experience is the focus of the overall design of this structure. 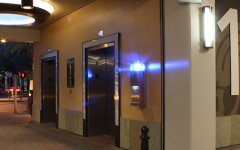 Lighting and signage play a very important role. Almost 30 different types of lighting fixtures are carefully designed and placed to heighten the overall aesthetic appeal, creating a friendly and safe environment. 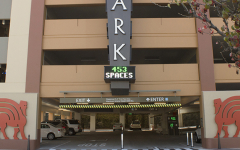 The garage also features illuminated marquee signs and a parking-count system. This parking structure has become an important and beautiful component of the outlet center, providing a convenient and pleasant parking experience for shoppers.